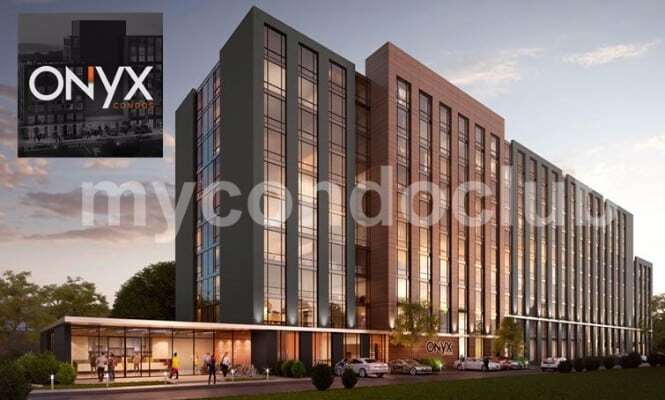 Onyx Condos is a new condo development at 17 Ewen Road, Hamilton, ON located right at Ewen and Main. This development has luxurious condo units with retail space at ground level and 2-storeys of office space. It is proposed to have parking spaces below-ground level. Based in the Hamilton, this condominium has luxury condo suites in the condo tower. Additional features include a party room with kitchen, dining room, terrace, yoga studio, bike room, billiards room, fitness centre and WiFi Lounge. This will also include two separate party rooms where residents can entertain their guests. The party room will have a kitchen, multiple seating areas and a central fireplace feature. The dining area in the party room will have bbq barbecue, dining, lounging terrace with spectacular city view. 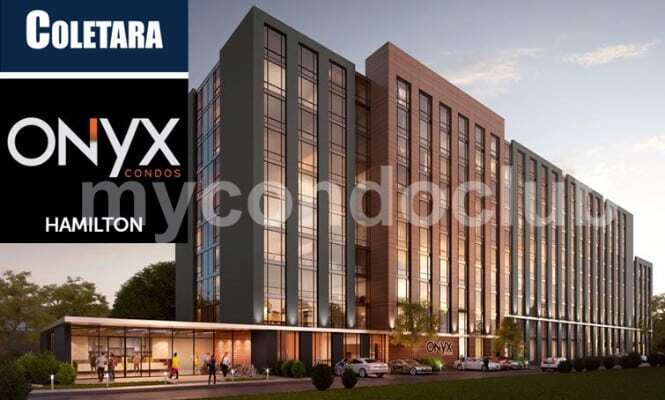 The Onyx Condominium is in Hamilton, surrounded by large businesses, numerous offices and neighbourhoods like Hamilton Convention Centre, Art Gallery of Hamilton, Monthly Art Crawl on James St.N, Annual Supercrawl, Whitehern Museum, AGH Design Annex, FirstOntario Centre, Hmailton Place, Dofasco Centre for the Arts, Landmark Cinemas in Jackson Square, King William Art Walk and Tim Horton’s Field. Public transit, Malls, schools, Major banks and retail shops, supermarket – shopping, dining and entertainment at your doorstep! Viva Transit to major arterial roads (Hwy 7, 407, 404, and 401), shopping Centres, lots of restaurants, pubs and top rated school zone includes elementary school and high schools are in the local area close to the Onyx Condos. Sheldon Manor Park, Stroud Road Park and Royal Botanical Gardens are some of the parks close to the Onyx Condos in Hamilton.